From nutrition and beauty to medicinal and household uses, we look at 11 reasons to reach for the vinegar bottle. Whoever said, “You can attract more flies with honey than you can with vinegar” obviously didn’t know what we know today about the multi-faceted properties of a simple product like vinegar. From nutrition to medicinal and household uses, the uses of vinegar are virtually limitless. Imagine that! Say goodbye to all those expensive hair care products that line your bathroom shelf, and hello to one simple product that has the power to give you silky, shiny hair that is free from buildup. 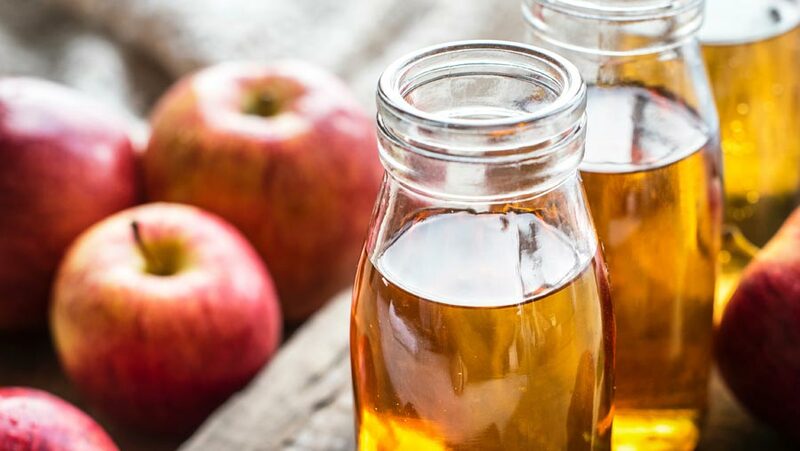 Apple cider vinegar is easily accessible and it works like a charm. Simply add a half a teaspoon of apple cider vinegar to a cup of water, pour over freshly shampooed hair, and rinse. Add a few drops of your favourite essential oil to the mixture to avoid smelling like an antipasto salad. A few stray weeds that pop up in an otherwise perfectly manicured lawn, vegetable garden, or flower bed can drive a person batty. Weed killer can be both expensive and harmful to pets. Believe it or not, vinegar will actually kill your unwanted weeds without causing harm to Fido, Fluffy, or the other little creatures that live in your lawn, garden, or flower beds. In fact, vinegar made particularly for horticulture use contains 25 per cent acetic acid, and is even stronger than store-bought vinegar. Follow Ranya Elguendy’s Prescription for Healthy Living!